If your back yard is looking drab, it may be time for an update. You don’t need a big budget to freshen up your outdoor space, just some time, elbow grease, and ingenuity. 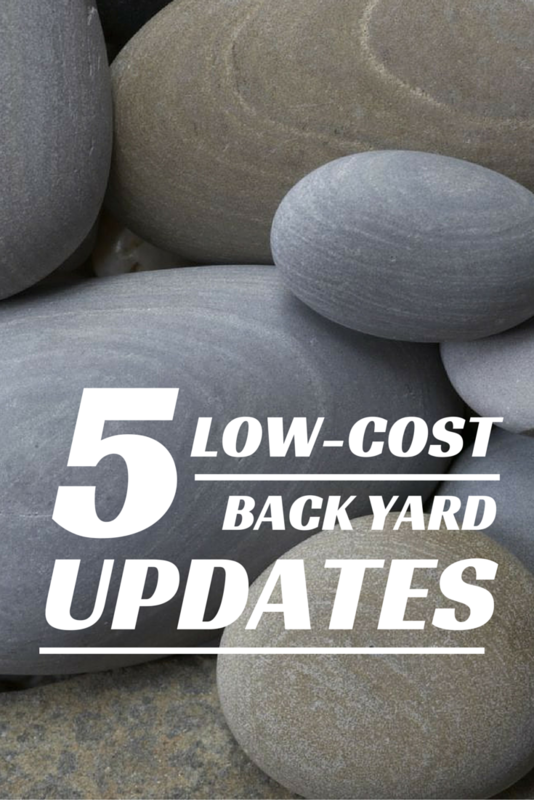 Here are 5 low-cost ways to update your back yard. 1. 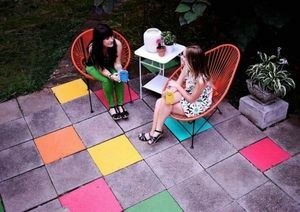 Give your patio a colorful makeover with latex paint. If you have an old patio with discolored or faded stone, you can freshen it up by adding a splash of color. Paint individual stones or tape off a solid patio prior to painting to get the same affect. The example project found on A Beautiful Mess uses bright colors, but you can tone it down or customize it according to your current exterior house colors. 2. Create back yard table space with fence tables. If you have a small back yard or are in need of a convertible option for setting things down, you may find this simple DIY from Sensibly Sara fits the bill. 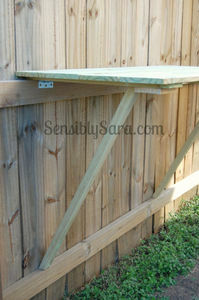 These fence tables prop up while in use and hang down flat against the fence when they aren’t needed. They are great for holding drinks during back yard parties, setting down prep stuff next to the grill, and potting plants (or even holding potted plants during the summer). One commenter on the sample project even suggested painting the top with chalkboard paint so kids can color on them while they’re hanging down. 3. 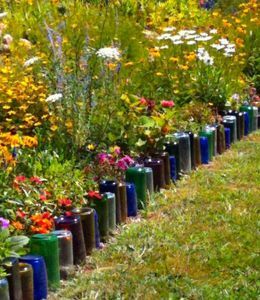 Make a garden border with recycled bottles. This project from The Greenbacks Gal is a great way to recycle and add a bit of color that lasts year-round. You may be thinking, “I don’t drink THAT MUCH!” No worries. Just ask a local restaurant if they’d be willing to save their used wine bottles for a week. You’ll have enough in no time. Of course, we don’t recommend this project if you have kids that love hard play, because the bottles could break and we don’t want them stepping on glass. Another option is this clam shell border from Bob Vila. 4. 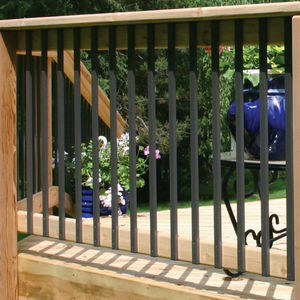 Upgrade your deck with decorative metal balusters. The balusters are more susceptible to weather wear than other parts of your deck. If yours are looking worn or outdated, upgrade them with metal ones. Depending on the look you want, they can be purchased around $2-$3 a piece and are usually sold in packs. Deckorators even has solar powered lights you can add on for a beautiful touch. With some deck designs, they may be added without completely dismantling the rail, but others may require partial dismantling. So, make sure you or someone helping you has carpentry skills and an understanding of deck architecture. 5. Create an outdoor stone foot bath. Wilmington is a coastal community, which means many waterfront homes and SAND. If you have a waterfront home or kids that love to play barefoot outside, this stone foot bath shared by Martha Moments may be a good project for you. 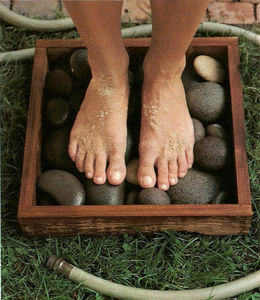 Instead of standing in a puddle or tracking sand and dirt into the house, create a box frame, add some river rocks, and stand on those while you hose off your feet. The sand and water will pass through the stones to the grass or sand below. If it was me, I’d adapt the idea into a pleasant looking rock garden or foot path to an outdoor shower. 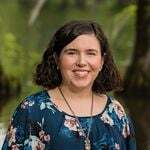 Other budget-friendly upgrades include spray painting your current furniture (or thrift store bought furniture), laying down fresh mulch, removing overgrown shrubs, and adding new plants. Have a favorite DIY backyard project? Share it in the comments below!